Back in the bad old days, content creation involved paying someone to write a load of illiterate nonsense that made no sense whatsoever but was stuffed full of keywords. This tactic worked surprisingly well for a long time and a lot of websites hit the top spots in the SERPS based purely on the fact they rammed as many keywords as possible into their pages. Today things are different and the world of content creation has moved on. Google takes a dim view of content scraping, keyword stuffing and other dubious methods. 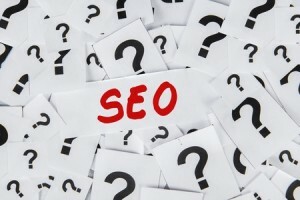 SEO has evolved and a more enlightened approach based on the creation of original, fresh content is the way forward. One of the main outcomes of Google’s game changing updates over the past year has been to change the way webmasters view content creation. Sites with original, high value content are treated more favourably by Google. It isn’t the only factor at play—lots of links and social shares are also important—but quality content is a very significant one. What Does Google Look for in Quality Content? To a certain extent, quality is a subjective thing. What might appeal to one reader will not necessarily appeal to another, but in general terms, content should be engaging, unique, relevant to the rest of the site’s content, and have something to offer above and beyond other similar websites. Google places high importance on the relevancy of a website’s content. It is fine to expand upon general topics within a wider theme, but you should never deviate too much from the theme of the overall website. Google wants readers to have a positive experience when they visit websites, so when people visit yours they should be able to find what they came looking for. Blog posts – Writing blog posts is a simple way of keeping a website updated with fresh content on a regular basis. You can use a blog to discuss topical things or offer useful information to readers, both of which Google and the other search engines like. Blogs also have other SEO advantages: they give you an opportunity to make good use of relevant keywords within your content, plus they are a great way to build links and exploit the benefits of social media promotion. Infographics – A lot of site visitors don’t want to read long posts and articles, which is why infographics are a great alternative. Thanks to their easily digestible and highly visual nature, an infographic has the potential to reach a far wider audience. Whether you write blog posts, infographics or embed some videos, make quality your primary goal in the production of new content. Always try to give your visitors something they can’t get anywhere else—the more useful information you give your target audience, the more the search engines will reward you for your efforts. Is Having a High Bounce Rate Bad?